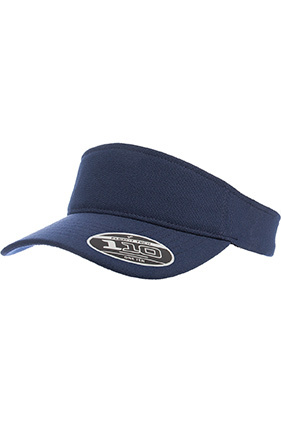 97% polyester/3% spandex, mini pique visor. 2 ½" crown, Permacurv® visor. Moisture-wicking. Premium adjustable Flexfit® tech. Elasticized D-ring. Hook and loop closure.